Organisations, schools and associations inform, educate and inspire the public and industry professionals. If you are an architect, designer, builder or contractor in Endeavour Hills, Victoria, they can provide invaluable expertise and advocacy for you in your chosen field. Associations, for example, can provide detailed insights and up-to-date resources for negotiating the rules and regulations of your local area. Organisations and schools also create a sense of community by providing networking opportunities with industry leaders and like-minded professionals. Furthermore, they encourage advancement in the field by conducting new research and conferences, while also recognising and awarding exceptional design. FURNITURE IS FASHION! The Australasian Furnishing Association (AFA) is a peak Australasian industry association representing the interests of the furniture sector from raw material supply through to the end user. Collectively the industry supply chain employs more than 250,000 people nationally. The AFA is committed to helping Australian designers and manufacturers of both residential and commercial furniture, suppliers to the industry, retailers, allied associations, key corporate and government stakeholders and individuals. For more information on the AFA and benefits that AFA members receive, please visit Our Services <a rel="nofollow" target="_blank" href="http://www.australianfurniture.org.au/our-services">http://www.australianfurniture.org.au/our-services</a> Australian Furniture for Every Room in the World! Established in 1961, the Swimming Pool & Spa Association of Victoria is the peak body of the pool and spa industry. Our mission is to represent both SPASA members and the broader swimming pool and spa industry to the general public, government and relevant statutory bodies. The Association strives to enhance its profile as a means of promoting the significant health and social value of pool and spa use. Our core goals are to ensure the viability of our members’ businesses and to promote the highest levels of professionalism, ethical behaviour and standards within the industry. 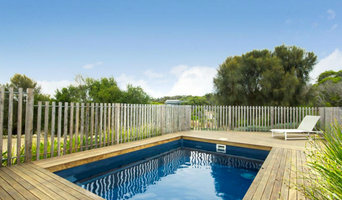 Both pool and spa owners’, and members’ interests, are represented on many technical and government committees, including Standards Australia, the Victorian Swimming Pool & Spa Safety Committee and the Victorian Building Authority. Among many others, we liaise closely with the Planning & Water Ministers’ Offices, DSE, Lifesaving Victoria, Water Authorities, Builder Warranty & Liability insurers, WorkSafe, Kidsafe and the Department of Consumer Affairs – all of which shape legislation and establish standards of workplace practices, safety, energy and water use. To maintain the highest standards, SPASA conducts Industry Training programs, trade events and publishes member OHS training and resource materials. SPASA also promotes the important consumer-focused Water Neutral Pool Program. The association promotes pool and spa use to consumers in several ways, including annual consumer events and communications. ATFA is the leading body of the Australasian timber flooring industry using local professionals with world class standards. ATFA industry intelligence is passed on through its members. 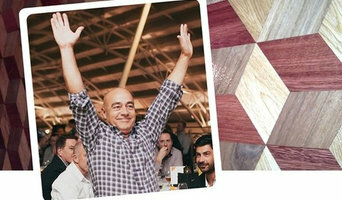 ATFA offers a FREE service to help consumers make the best decisions about their timber floor. The ATFA website will locate a professional (member) nearby, arrange a quote and the right advice (as a lot can go wrong without the right advice). Natural Timber Flooring is more energy efficient, a sustainable resource and looks better than any other flooring surface.Timber Floors represent 30% of the flooring market currently and this figure is increasing steadily. 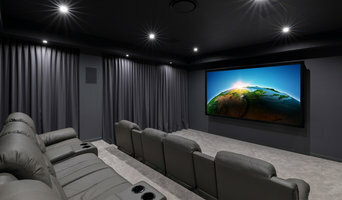 CEDIA is the global trade association and central touch point for over 3,700 member companies worldwide who design, manufacture, and install technology for the home. CEDIA is committed to helping members at every level set a pathway to prosperity by offering industry-leading education, training, and certification; providing opportunities, and cultivating awareness with industry partners and consumers. CEDIA works for you. 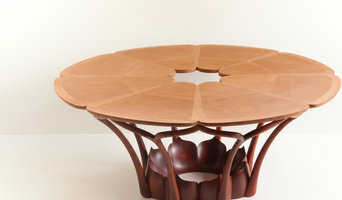 Welcome to the Cabinet Makers and Designers Association. 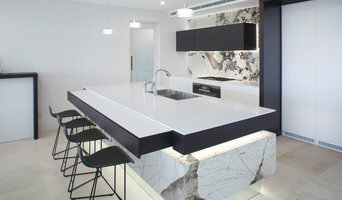 Our members are designers, cabinet makers and installers of all forms of cabinetry for the built environment including kitchens, bathrooms, built-in and free standing furniture in both residential and commercial developments. The CMDA committee is made up of a body of people from the cabinetry and associated industries to ensure that representation and wealth of knowledge are available to members and to grow the association as a whole. Australia's leading online source of information and inspiration about designing and building with wood and wood products, WoodSolutions is resourced by the industry body, Forest and Wood Products Australia Ltd (FWPA). Independent Builders Network is a professional network of local builders, working together to offer home builders a higher quality, more personal & better value for money service. The Design Institute of Australia (DIA) is Australia's peak membership body for professional designers and design businesses. Membership of the DIA indicates a designer’s status as a qualified, experienced, ethical practicing professional. It also provides designers and design businesses with support, networking, services and information to improve professional and industry practice. Since its formation in 1947 the DIA has been actively improving the community recognition and status of professional designers. It is a professional body for designers, founded by the design professions, and run and funded by designers. The DIA promotes the value of professional design and designers to industry, business, government and the community through its National Council and State Branches. The DIA champions the importance of design in building the commercial and cultural wealth of Australia. On behalf of its members the DIA is a member of major international design organisations including IFI (International Federation of Interior Architects and Designers) and APSDA (Asia Pacific Space Designers Association). Student of RMIT currently in the last semester of an Associate Degree of Interior Design and Decoration. Previously completed a Bachelor Degree of Strategic Communication and Professional Writing at La Trobe University.